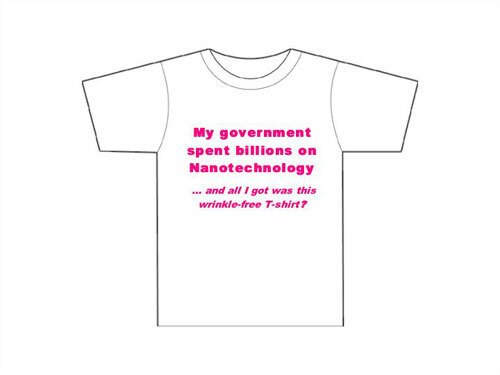 (Nanowerk News) The nanotechnology revolution will bring us a cure for cancer and a Star Trek-like replicator – right? Well, maybe. Trying to exploit today the huge technological potential that is quite a few years or even decades away, the marketing folks at consumer product companies have no problem of riding the hype wave when it comes to nanotechnology. This might create a bit of confusion when on one hand you read how billions of dollars are invested worldwide in nanotechnology research and on the other hand the only products you can buy are stain-resistant pants, better golf balls or the ultimate in comfy bedsheets. While serious nanoscientists are still deep into basic research, publishing papers with titles like "Chain Conformations and Bound-Layer Correlations in Polymer Nanocomposites" or "Experimental Signature of Phonon-Mediated Spin Relaxation in a Two-Electron Quantum Dot", JCPenney talks about how "breakthrough nanotechnology brings you a breathable sheet thats [sic] engineered to keep you cool and comfy." Here's some light reading for the weekend – a sample of the wonderful world of consumer nanotechnology. Enjoy. A company called Sig-Na Health Care Inc. markets "Needle Free Acupuncture Health Recovery Chips – patented composition silicon stone nanometer technology for treatment and recovery of various chronic pain and disease conditions." Basically, instead of sticking a needle into your acu-points, you just tape a stone on it. Oh, you need to sprinkle some water on it first, apparently that's an important step in the whole process. The website explains that "...any kind of water will work with the Health Recovery Chips, but you will limit the life and effectiveness of the Health Recovery Chips (and void the warranty) if you use any liquid other than the SURFACE LIQUID." Of course! 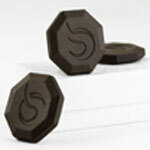 Nanometer-Silver Foam condom by Blue Cross Bio-Medical. "With introduced American scientific research achievement and advanced technology of nanometer-silver and physical foaming." 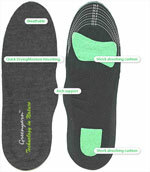 Greenyarn insoles – "the most advanced insoles in the world. Eco-fabric is fabric made by Greenyarn that contains nano-particles of bamboo-charcoal. All its properties come from weaving fiber containing nano-particles of bamboo-charcoal in way to bring out most of the benefits." The Tigold STROM fishing lure is coated with a polyimide film with a thickness of several hundred nanometers. "The nanotechnoloy coating ensures that the lure keeps shining regardless of the viewing angle. Surveys showed that when the lure is coated with a polyimide film so as to look pink and rainbow colored, the chance of catching fish can be raised to about 2.6 and 3 times, respectively, compared to the case where a lure without a polyimide coating is used." Nano breast cream (we struggled hard to find a politically correct foto; so we went with the product shot instead). Original text: "St.herb Nano Breast Cream is harmony combination of Nanotechnology and the timeless Thai herb Pueraria Mirifica. Nanosomes are oxidation stable compound which expands the cellular substructure and promotes development of the lobules and alveoli of the breasts. You can instantly experience Natural Breast Enlargement & Firmness. Nanosomes are protected from surface & bulk erosion also, this feature provides added advantage - Toning of bReast Skin, visible cleavage, radiant texture of breast skin & protection from free radicals." Nanoseal facial cream. Original text: "Tens of time-enhanced performance achieved by improving absorption with introduction of nanotechnology to the top quality nutrition cream. In one-time use, about 1 billion nano gold powder grains work on the skin and take effects for preventing aging such as moisturizing (72 hours lasting in one time use, whitening and anti-wrinkle effects)." And here is our favorite: Nanotea. The following is original text from the supplier's website (we are not making this up! ): "Nanometer is not a meter, but a unit of size. 1 nanometer is one thousandth of 1 micrometer, one millionth of 1 millimeter, or one billionth of 1 meter, meanwhile 1 micrometer is one thousandth of 1 millimeter. The 20th century is a micrometer area, when people had invented a great number of products that can be seen only by ultramicroscopes and had rapidly changed the living of the people. 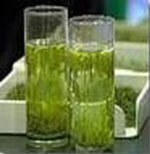 Nano-tea ... is processed with a patented technology called “three steps of nano-tea preparation” (patent N0. :02100314.9) - traditional pulverization - air current pulverization (make plants knock against each other) - Nano-pulverizations (Multi-layers grading nano-ball-milling technique). The particles of the powder thus prepared can be seen only under a 0.1 million-fold microscope. The powder at such fineness are called “Nano-grade” product, and the tea thus prepared is called nano-tea."